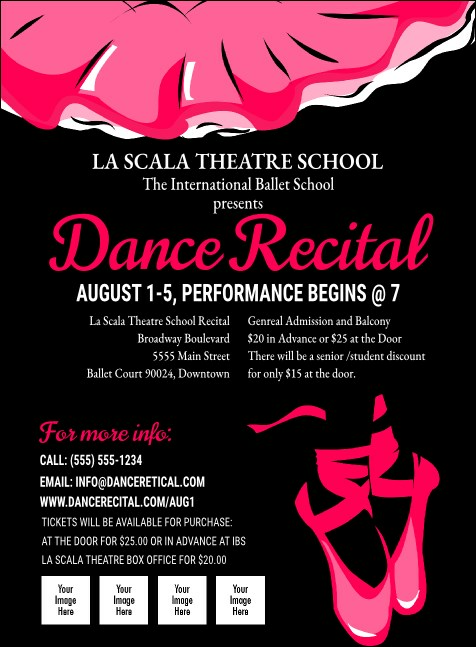 Long before setting up the stage lights, advertise your event in advance with Dance Recital Invitations. These personal Invitation templates feature space to upload four separate images, so go ahead and showcase those prima ballerinas and generous sponsors by uploading their pictures or logos next to a pair of pretty pink ballet slippers. Don’t lag in time! Advertise in advance with Invitations from TicketPrinting.com.